What is the price of Sony Xperia XZ Premium ? Average price for a phone Sony Xperia XZ Premium is 422.12 EUR. 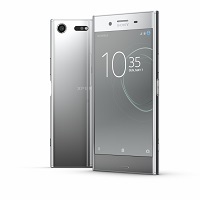 Sony Xperia XZ Premium currently costs from 16.71 EUR to 836.47 EUR. Average price for a phone Sony Xperia XZ Premium is 216 EUR. Sony Xperia XZ Premium currently costs from 115.29 EUR to 514.12 EUR.